Annoyed about Boris Johnson's antics as former foreign secretary and as an advocate of the Brexit Leave campaign? Now is the occasion to enact revenge! Lot 5 Collective, a group of six portraitists, are inviting visitors to its exhibition, Face Value, at the Royal Opera Arcade Gallery in London to deface a painting of the Conservative politician both at the opening this evening (8 November) and tomorrow morning. 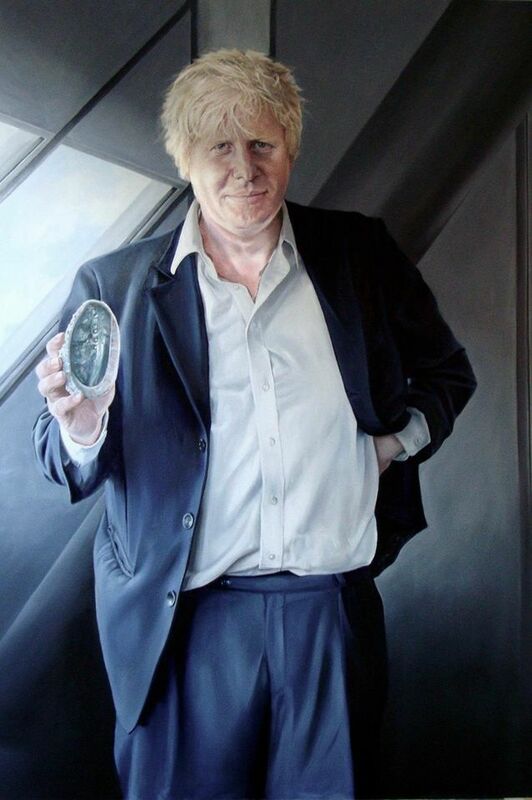 Made by Helen Masacz, a Lot 5 Collective artist, it was originally shown at the BP Portrait Awards at the National Portrait Gallery in 2010 when Johnson was the Mayor of London. After it was returned to her, Masacz asked her students to "deface" it using oil paint applied with palette knives. The reworked painting, now entitled Boris Johnson – Cover Up (2018), will be sold by auction, with proceeds going to the homeless charity Shelter at the end of the show.